In the late 90s, it seemed as though vinyl was about to become extinct. With worldwide record sales hitting an all-time low, this analogue sound-storage medium suddenly came back from the dead. By 2017, the UK’s vinyl sales were the highest they’d been for almost 3 decades. Today, the globe’s Record Store Day is thriving; in 2015, there were almost 12 million discs sold - which was six times the amount purchased in 2008. Since this shop can be found on countless ‘Best Record Store’ lists around the world, it would be ludicrous not to mention it. Founded during punk’s insemination into British culture, Piccadilly Records is housed at the country’s musical epicentre – Manchester. For a plethora of alternative and dance music discs, shop here for new music and fresh reissues. If you’re a lover of watching the hours sail by whilst you flick through endless stacks of vinyl, then Jumbo Records is the place for you. Known for his vast collection of music, this shop was forced to move from its initial residence in Queens Arcade, to St John’s shopping Centre, due to lack of space. Despite this store’s absence of fancy décor and ornamentation, Resident is a space with wonderful charm. Its owners met whilst stacking CDs in their local Virgin Our Price store and have been married ever since. Dedicated to building a selection of timeless music, catalogue titles and gig tickets, Derry Watkins & Natasha Youngs have been in the business for over a decade now. Perhaps one of the most well-known stops on our list, this store has branches in Nottingham and New York. Also a renowned label on the indie scene, Rough Trade has put out music from the likes of The Smiths, The Strokes, Arcade Fire and The Fall. What separates Rough Trade from other shops on our list is that fact that it regularly hosts gigs, film screenings and even lectures. With such great musical heritage like The Coral, The La’s and the Beatles, it was difficult to name the best store in Liverpool. Nevertheless, this pedigree shop made our list for the sheer amount of credibility it has been afforded by clientele like Paul Rutherford, Ian McCulloch and Pete Burns. It is a truly pedigree retailer. Idle Hands began its life as a record label. To date, it has released music from artists such as Shanti Celeste, Kahn, Om Unit, Bruce and Matt Karmil, amongst others. 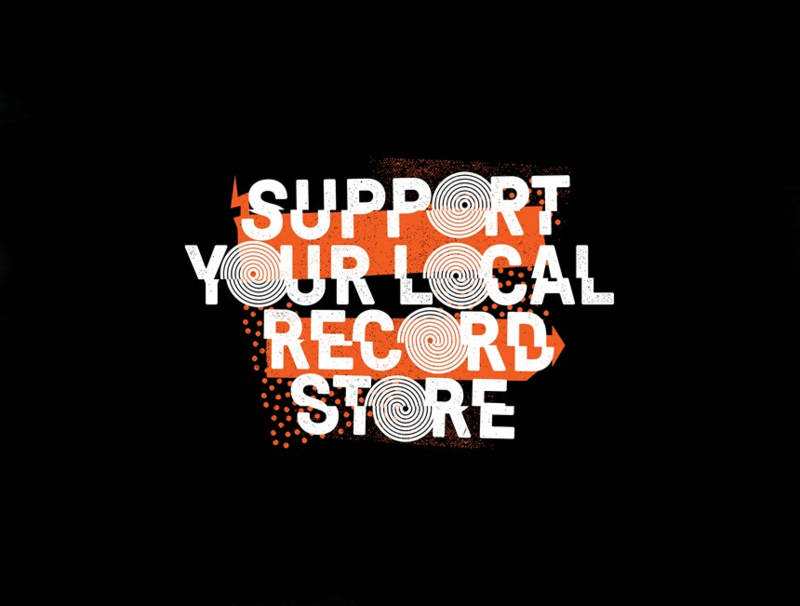 Once founder Chris Farrell opened his doors for vinyl sale in 2011, the shop soon accumulated an international reputation. Supporting the local dance seen, as well as championing new music from overseas, this record store is arguably the best in Bristol. Any list of the top record stores worth its gravy, will include this little gem. Not only is it the oldest record store in Britain, but it is in fact the oldest record store in the world. For 120 years now, it has sold each incarnation of musical format, from 1890s phonographs, wax cylinders and shellac discs, to vinyl, cassette tape and compact disc. A visit to Spillers Records is a bragging right for all musicians. Consistently packed with crowds of music lovers, this Glasgow-based shop can’t be missed. Once a branch of Edinburgh's renowned Avalanche Records, Love Music has a stellar selection of guitar and rock music. Stocking vinyl and CDs, this shop houses a lot of top Scottish talent. RPM Records is a quaint little shop that is located down one of Newcastle's many cobbled back alleys. Like a loyal grocery store, it sells home-grown produce of old and new. With friendly staff and a range of classic record players, RPM Records is a cool stop off..
Whilst Rockaboom has made our list of the Uk’s top record stores, its victory is bittersweet. Sadly, it is the last of its kind in Leicester. With its doors open for quarter of a century, Rockaboom now serves the entire city’s lust for vinyl. As such, it boasts a varied selection of music; from obscure names to commercial hits. And this brings us to the end of our list. By no means comprehensive, we hope that it might at least inspire budding collectors to visit their local shop on record store day and continue to help vinyl grow.